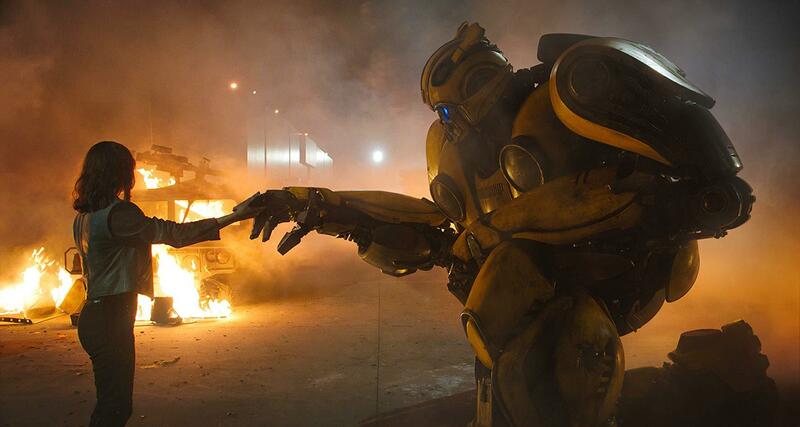 I have never liked Michael Bay's brutally long assaults on the senses known as the Transformers series. I find them crass, vulgar and offensive; jingoistic, misogynistic and just generally misanthropic, they represent all of the worst qualities of their auteur. With that out of the way, Travis Knight's (Kubo and the Two Strings) prequel Bumblebee could be the course correction we were all waiting for. I'm happy to report that it is by far the best Transformers film to date, but does that make it a good film or merely the least terrible film? Set in 1987, the film's titular hero lands on planet Earth and has to find a new base of operations after the Autobots suffered a defeat at the hands of the Decepticons on their home planet of Cybertron. He soon finds himself in the care of teenager Charlie Watson (Hailee Steinfeld) and the two quickly become friends. However, a pair of Decepticons, as well as the U.S. military (led by a delightfully over-the-top John Cena) are on Bumblebee's trail and the two friends soon find themselves on the run.